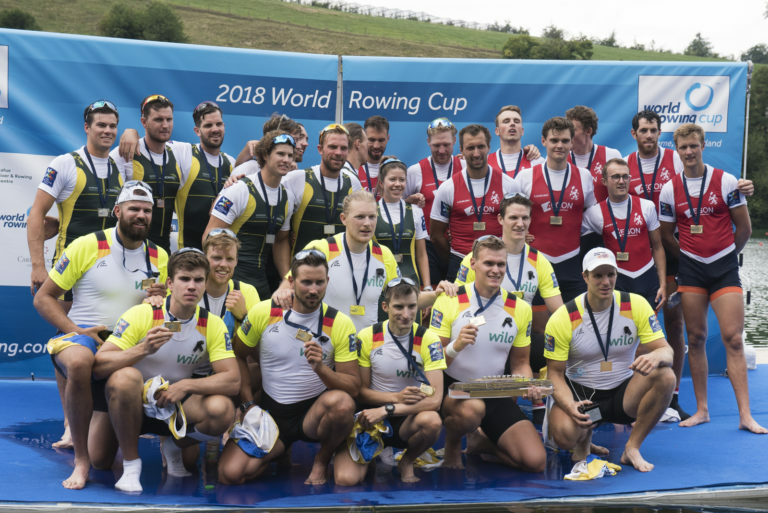 The traditional post-racing thunder-and-hailstorm burst over Lucerne as Germany clinched the world cup points trophy and four world cup event titles, but New Zealand topped the medal table with five Olympic-class titles and a solitary silver courtesy of the kiwi lightweight women’s double. 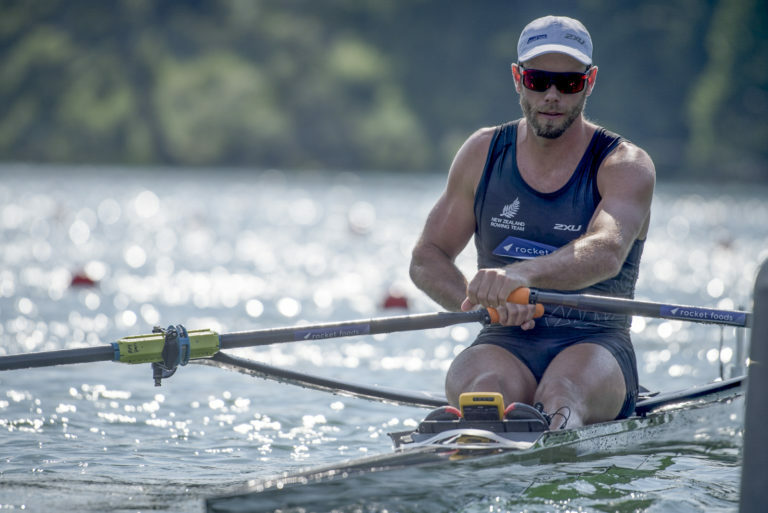 The European squads now go to their continental championships in eighteen days time, but lurking at the back of their minds will be the fact that there are undoubtedly some very fast crews from three other continents. Photo Robbie Manson racing this week in Lucerne. One is Robbie Manson, who has surely done enough to reject any chance Drysdale has of claiming the New Zealand worlds nomination. This time he used his high-rating speed to cut through Synek as if through butter, yet still had enough in hand to hold off importunate newcomer Oliver Zeidler, who had done a similar job on Germany’s 2017 sculler Tim Ole Naske, while Drysdale used his by-now trademark sprint to close the gap on Manson to under seven seconds. Manson is having his finest season since he and Michael Arms bossed the entire world cup series in 2013, and his consistent speed and racing nous has been much more convincing this year. 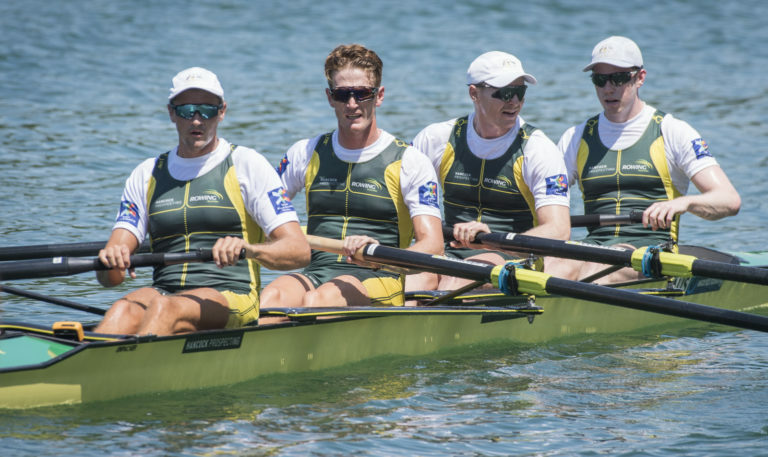 Back in the fours, Australia demonstrated that the coxless quartets of both genders are theirs to take, the women doing a superlative job outracing Denmark and the men barely challenged after the start beep sounded. 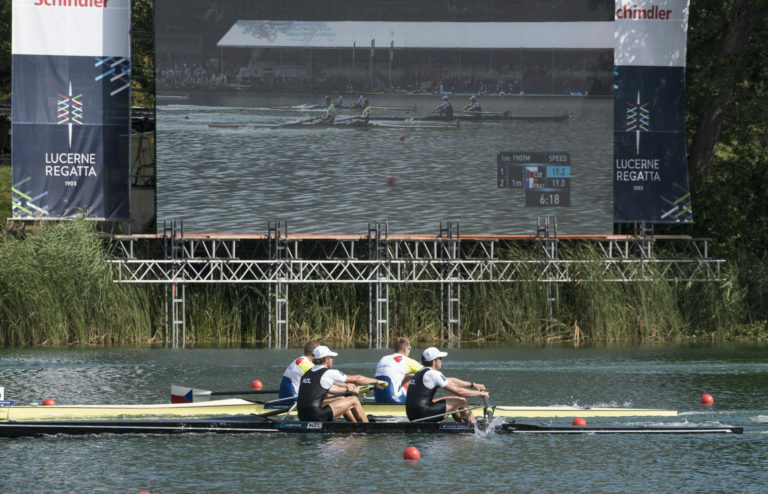 In the W4- the ‘second’ American four outperformed the real crew for bronze, but swerved the medal ceremony and courted lactate overload, hopping straight into the eight to grab another bronze a mere 45 minutes later. 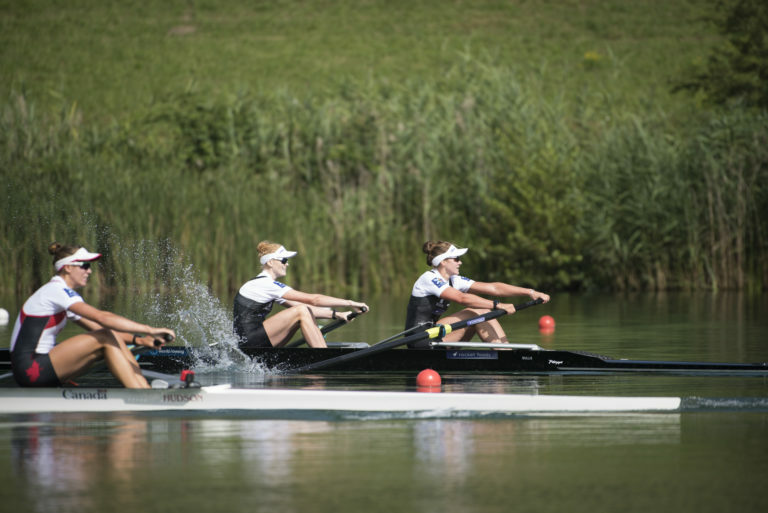 This doubling-up should be a warning to New Zealand and Canada, who took eights gold and silver, that the women’s big-boat event is not as clear-cut as it seems. However the Dutch seem to have lost their sparkle since losing their stroke, Veronique Meester, who is busy finishing her medical studies during the rest of the 2018 season. Some of the established names showed feet of clay this weekend, though it could be argued that training cycles vary and not all crews taper for Lucerne. 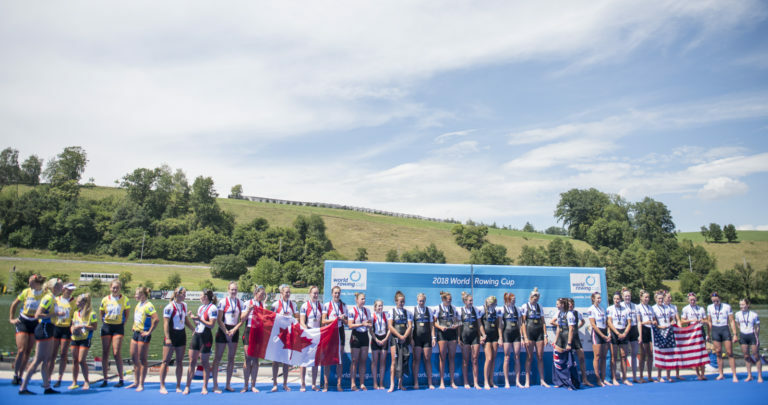 World champions Grace Prendergast and Kerri Gowler were nearly caught on the line by an extraordinary surge from Canada’s Caileigh Filmer and Hillary Janssens: nobody has taken two seconds out of the Kiwi pair since Heather Stanning and Helen Glover retired. The Canadians definitely had their rivals worried, and a margin of 0.43 seconds is not enough to give the Kiwis peace of mind before September. Switzerland’s heroine Jeannine Gmelin had a similar problem in the singles, where the unquenchable Sanita Puspure refused to lie down under Gmelin’s highly effective mid-course attack and doggedly pushed back, outsprinting the rapidly closing Canadian Carling Zeeman and ending within a few inches of Gmelin. The result, arguably, could have been different a stroke later, but credit to Gmelin for managing it after smashing the singles record a week earlier at Henley Royal Regatta. With Martin Sinkovic out of action due to back trouble, the men’s pairs re-opened, and although New Zealanders Thomas Murray (no relation) and Michael Brake claimed the title, France’s Onfroy brothers were inspired to close fast in the sprint, helped by Murray and Brake veering dangerously close to their bow-side buoys. 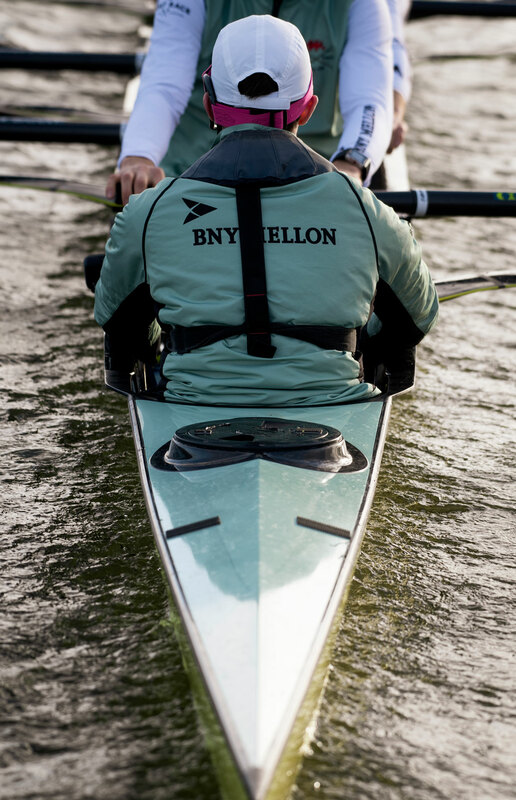 Fraternal synchronicity was upheld in the men’s lightweight doubles, where Ireland’s Gary and Paul O’Donovan looked very strong holding Belgium at bay, while in the men’s eights Germany completed a hat-trick of world cup victories to match Gmelin with a clean sweep. There were important crews missing from Switzerland, but not many. When the next pieces of the jigsaw fall into place in Glasgow next month, the pre-worlds picture will come into clearer focus. Roll on Plovdiv in September…..
See More: Video interviews available here.